E – Art for Art's Sake! 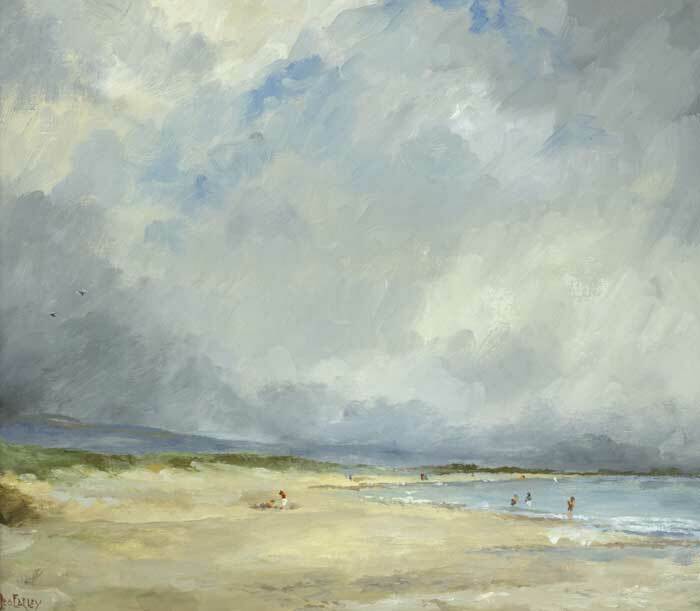 “Brittas Bay, County Wicklow” oil on canvas (12″ x 14″), sold at Whyte’s – 11/12/2011 for €500.00. 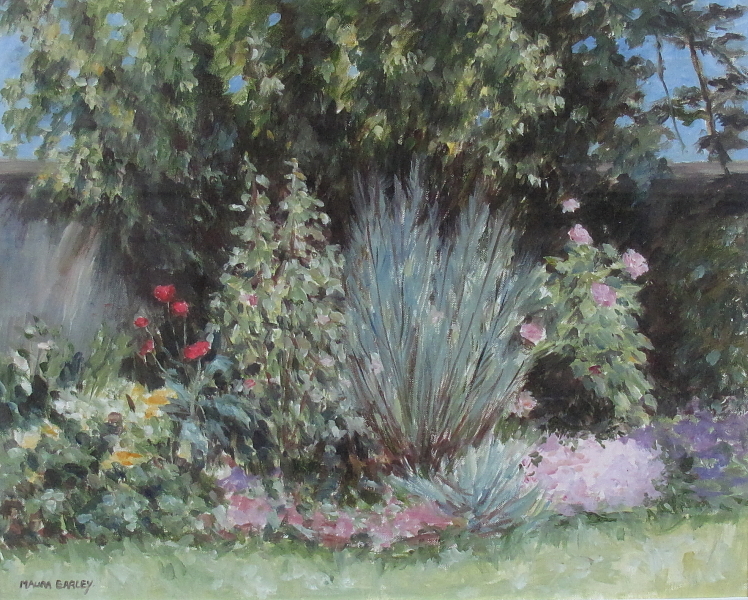 “A Summer Garden” oil on board (11″ x 14″). 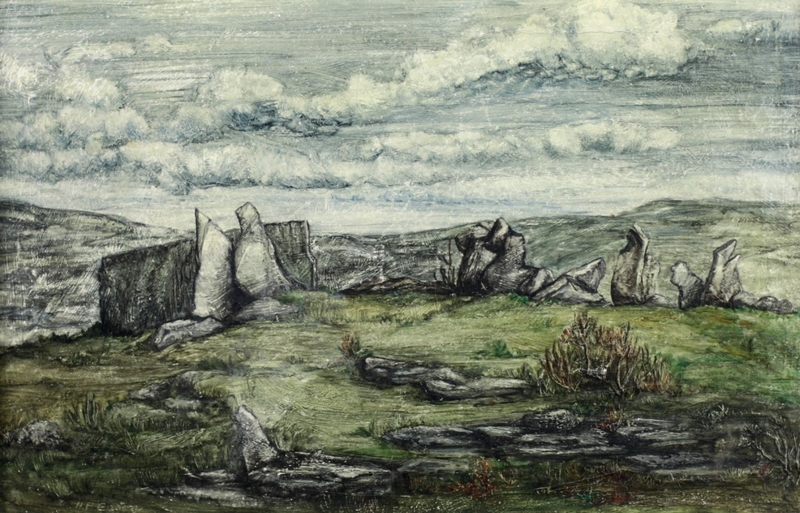 “West of Ireland Scene – the Burren” oil on canvas (13″ x 20″), sold at Fonsie Mealy’s 8/3/2017 for €100.00. “Path down to the Sea, Antrim Coast” watercolour drawing (11″ x 14″), sold at Ross’s – 6/12/2017 for £30.00. 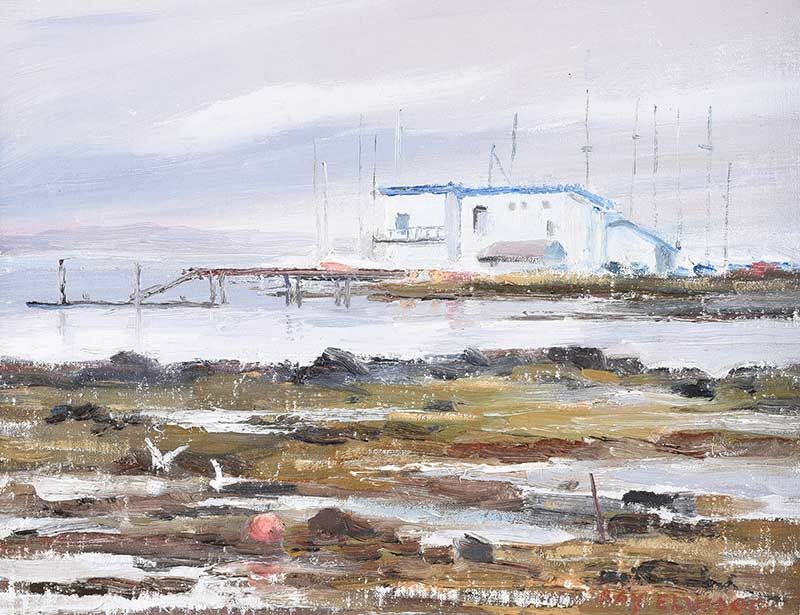 London born artist now living and working in Rosslare, County Wexford. Born in London, to a German father and an Irish mother, Egestorff was educated in Germany and whilst there began to take lessons in drawing. 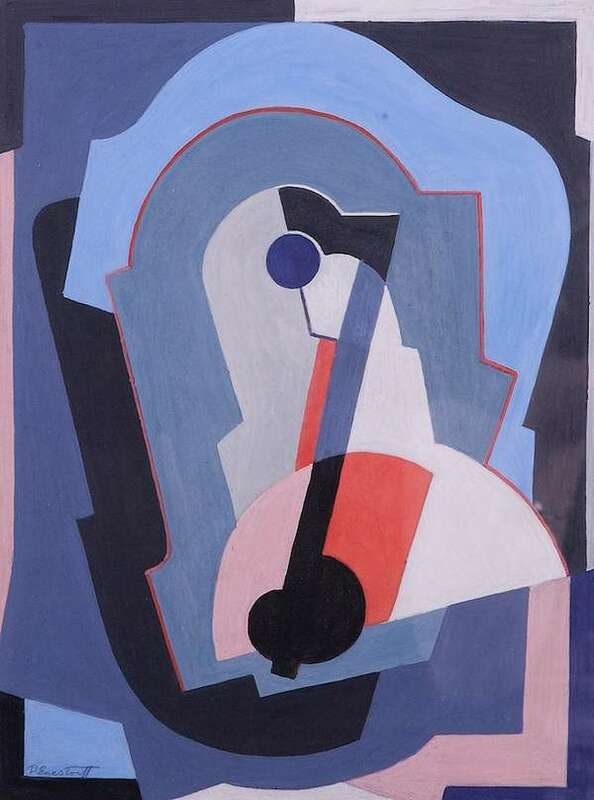 Much influenced by the Expressionist movement in Germany, he came to Dublin about 1922 and studied under Mainie Jellett who encouraged his interest in abstract art. 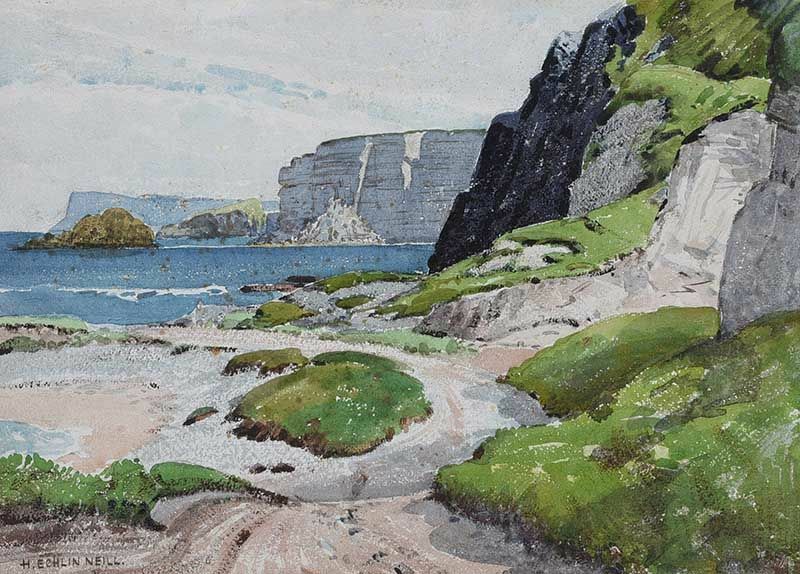 He was also an accomplished watercolourist and a member of the Watercolour Society of Ireland. 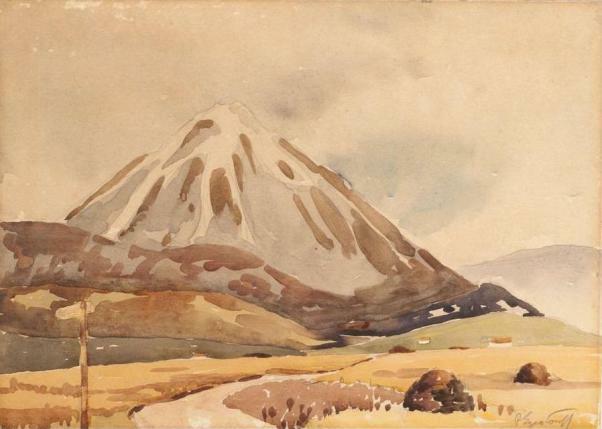 Left to right: “The Alarum” (1949) Gouache (12″ x 9″) sold at Adams – 26/3/2013 – €1,600.00; and a more conventional work “Mount Errigal” a watercolour drawing. This latter work passed through my hands for €100 two years ago and is now on sale for €650 – such is inflation since the alleged return of the Celtic Tiger! 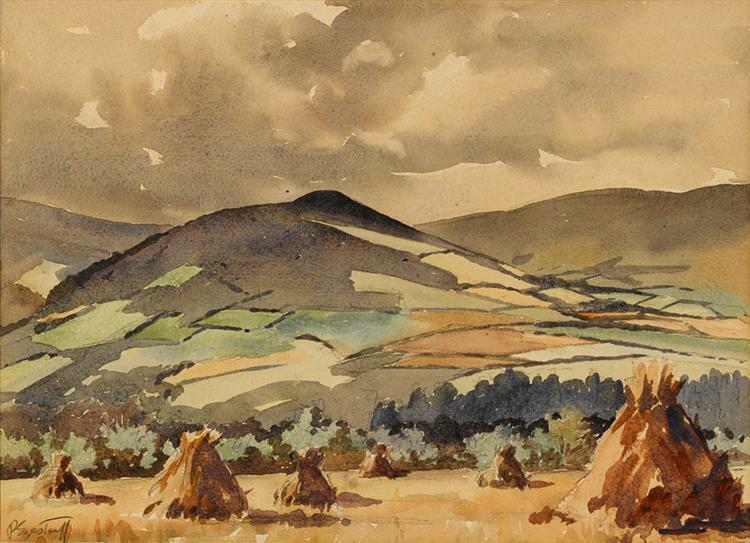 “Near Enniskerry, County Wicklow” watercolour (11″ x 15″), sold at Morgan O’Driscoll’s – 14/8/2018 for €240.00. 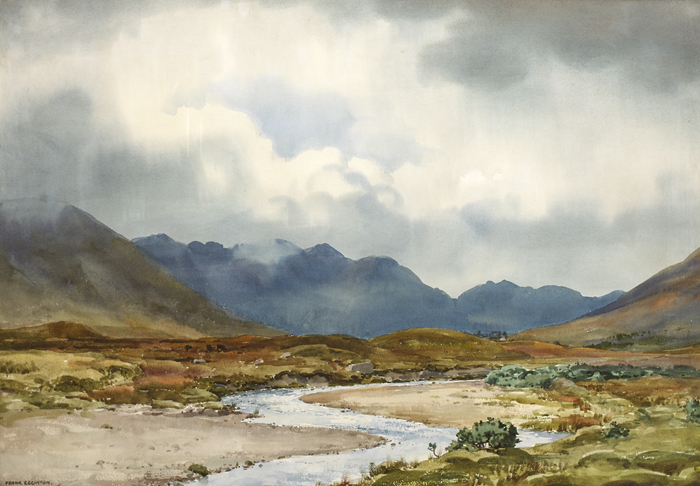 “Maam Valley, Connemara” watercolour (20″ x 29″) sold at Whyte’s – 29/9/2014 for €950.00. 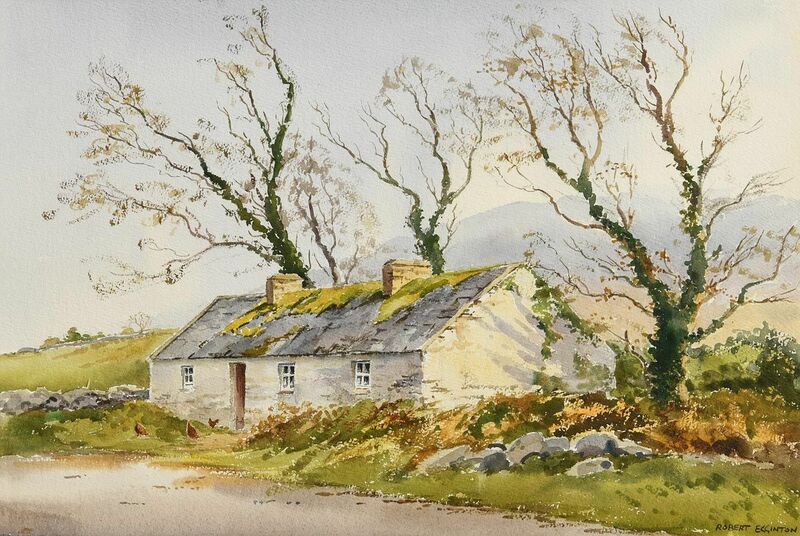 “Cottage by Clew Bay” watercolour (14″ x 21″), sold at Morgan O’Driscoll’s – 29/1/2018 for €360.00. 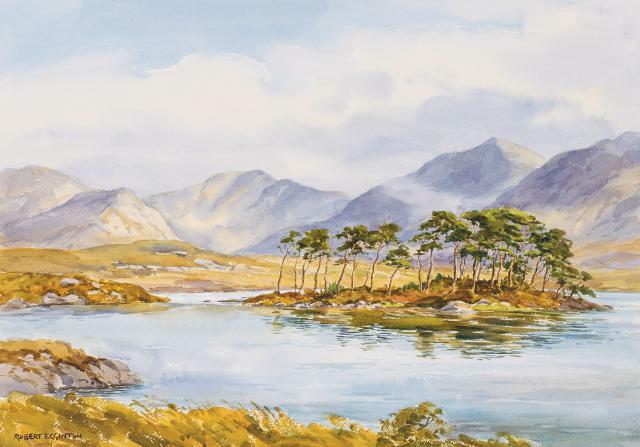 “Derryclare Lake, Connemara” watercolour (14″ x 19.5″), sold at Dolan’s – 8/2018 for €500.00. 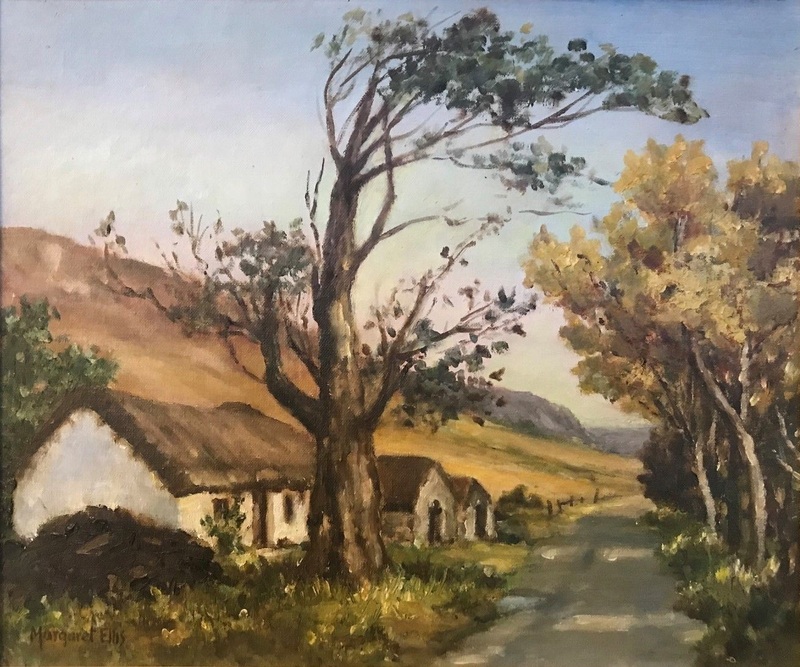 Kitty Elliott was born in Grangegeeth, County Meath and was self-taught, working in oil, watercolour and gouache, specialising in landscape, floral and character studies. 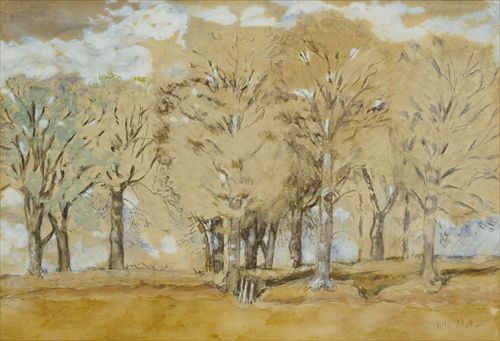 “Beeches in May” watercolour on paper (8″ x 12″), purchased from the artist in 1950. © Estate of Kitty Elliott, Photograph © John Kellett/Drogheda Borough Council. 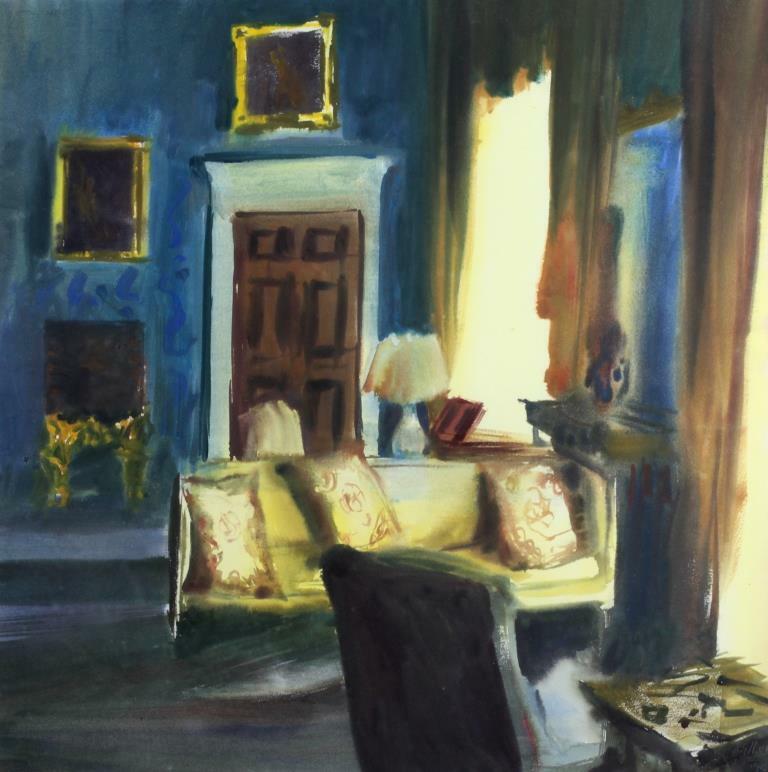 “Drawing Room. Abbeyleix” watercolour (22″ x 22″), sold at Fonsie Mealy’s – 25/7/2017 for €240.00. “Barnesmore Gap” oil painting (10″ x 12″). Offered on eBay – 7/2018. A Victorian history and genre painter. He was born in Cork, Ireland, the son of Dr. John Richard Elmore, a surgeon who retired from the British Army to Clonakilty. The family moved to London in 1827, where Elmore studied at the Royal Academy of Arts. His early works were in the troubadour style of Richard Parkes Bonington, but he soon graduated to religious work, notably “The Martyrdom of Thomas à Becket”, commissioned by Daniel O’Connell for St.Andrew’s Church, Westland Row in Dublin. 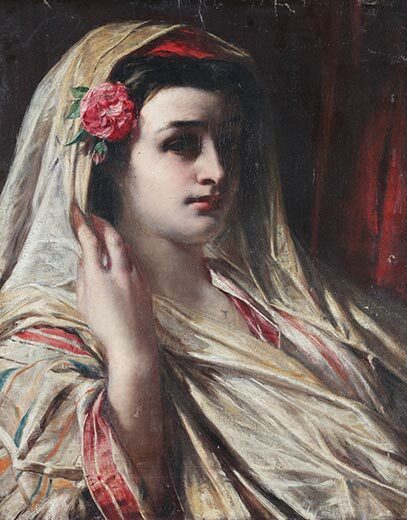 “Classical Beauty” oil on canvas c.1860 – Crawford Art Gallery collection. “The Club House in Winter, Whiterock” oil on board (8″ x 11″), unsold at Ross’s – 13/9/2017. 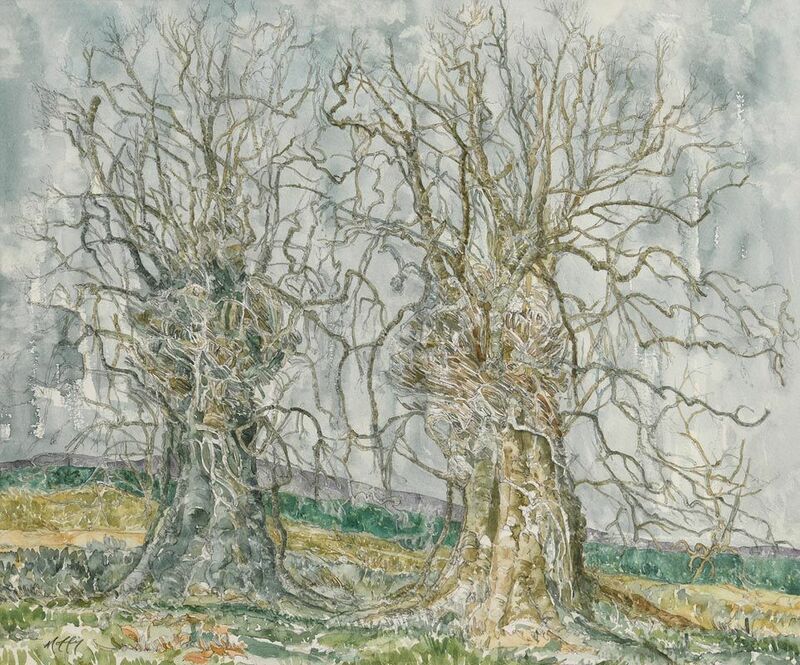 “Sentinels of a Past Century” watercolour (16″ x 19.5″), sold at Morgan O’Driscoll’s – 2/10/2018 for €70.00. 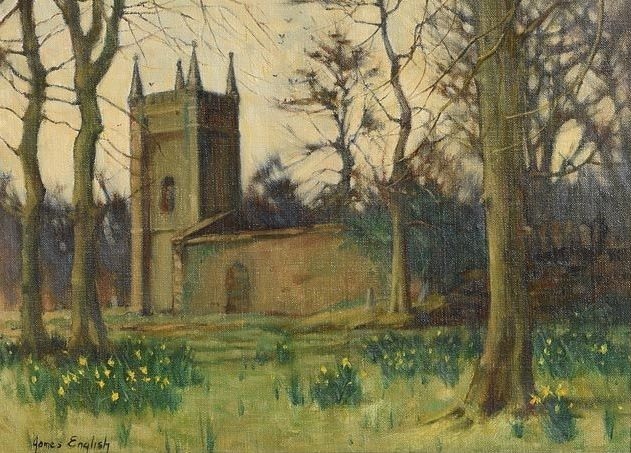 “Churchyard, Spring” dated 1983, oil on canvas (10″ x 13″), sold at Morgan O’Driscoll’s – 24/10/2016 for €440.00. 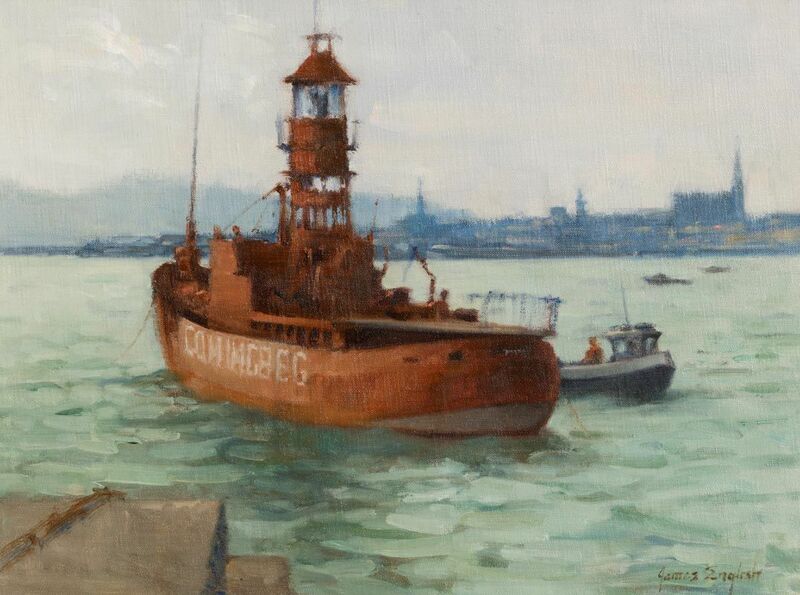 “Servicing the Lightship, Dun Laoghaire” oil on canvas board (12″ x 16″), sold at Morgan O’Driscoll’s – 4/12/2017 for €650.00. 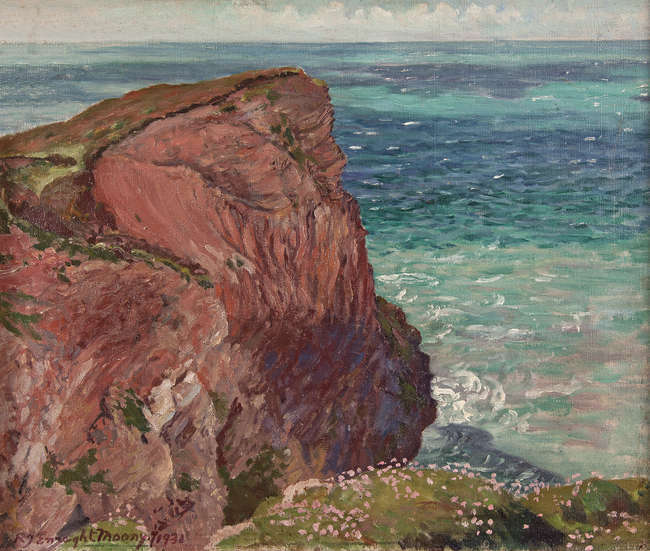 “Trevellas Rocks” dated 1931, oil on canvas (14″ x 16″), sold at Adam’s 7/12/2016 for €1,000. 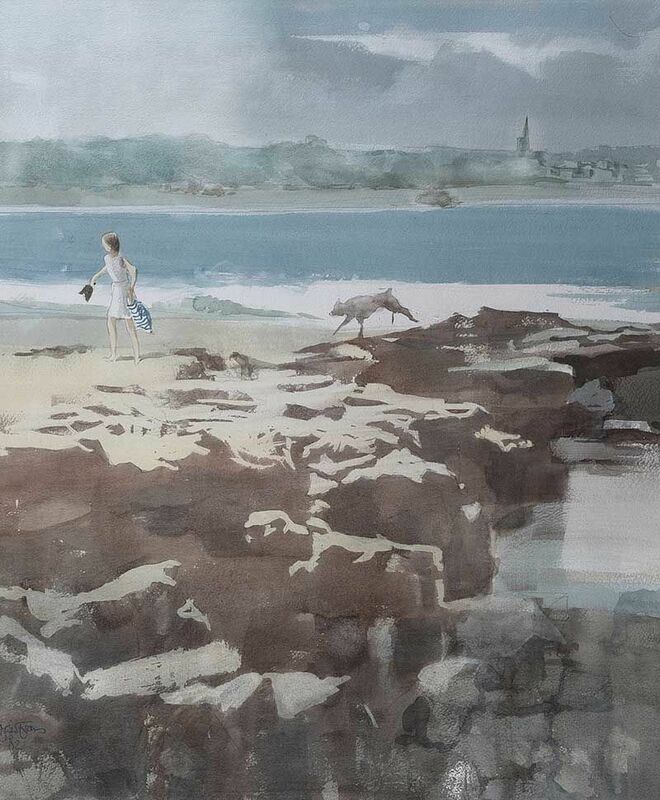 “Ballycastle Bay” watercolour drawing (24″ x 20″), sold at Ross’s – 11/10/2017 for £200.00. A self-taught artist from Aughrim, County Wicklow, who has been painting both full and part-time since 1987. 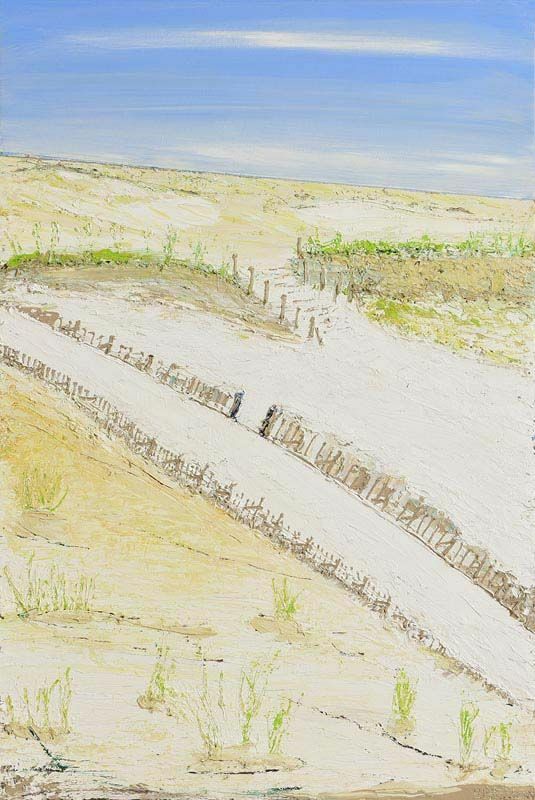 “I Laid on the Dune, Brittas” 2011, oil on canvas (35″ x 23″), sold at Morgan O’Driscoll’s – 15/5/2017 for €600.00.